Hi! My name is Dino, the owner of Crystal Cave. 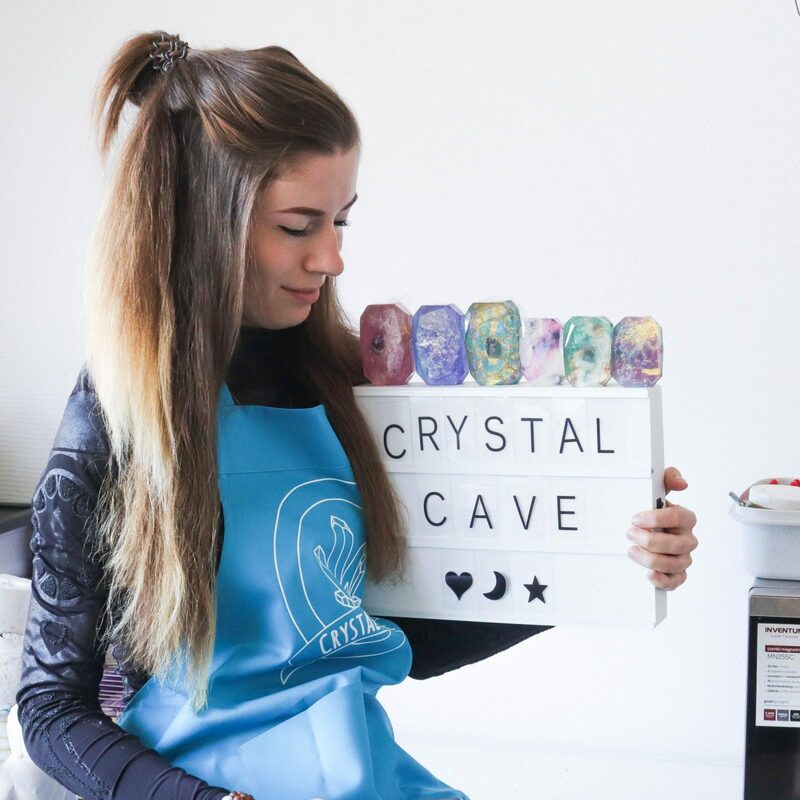 I started with Crystal Cave at the end of 2016, when my company could still fit in one bag and now I dedicated a whole studio to Crystal Cave! I am proud of what I have achieved so far, and very enthusiastic about every new product I will design for you. I put a lot of work and love into these products. If you send me a message, I am also the first point of contact. In addition to Crystal Cave, I also like to be involved with garden and landscape design, working with plants, (car) photography and much more! Thank you for having this and thank you for visiting our website. I hope you have a good time here and if something is what you want to know, send us a message! We make unique products based on or contain crystals and are inspired by nature. At Crystal Cave you will find products that you will not easily see anywhere else in the world. Crystal Cave has also been created for this reason because the offer is often the same on spiritual and crystal websites, and that is why being unique in the spiritual market of Europe is very important to us. Since the beginning we have done our best to bring innovation here in addition to offering a collection of gems. Our best-known products with which we have also gained name recognition are for example the gemstone soaps and the candles with a gemstone in it or in the form of stones. View more of our core values below with more explanation. Due to the increased pressure in our daily lives we sometimes get lost our train of thoughts and ourselves, and we go on the autopilot. We would like to bring you back in the here and now, for example something as simple as washing your hands. We aim to create original and unique products in which precious stones have been processed or related to this subject. By bringing together various aspects, we make the products that are offered here. We keep our packaging as simple as possible, but with a modern look. This way we can prevent that a lot of unnecessary materials are consumed and thrown away. We recycle as much as possible, including shipping boxes and packaging materials. In this way we keep the earth a little cleaner. Almost all of our products are handmade. What is this website to find, in terms of product designs, cards and photos is made by us in our studio. We stop as much care and love as possible in our products, and we hope you can feel it! Our raw materials have been carefully selected for their ingredients. Every product has vegetable substances with as little chemical components as possible. Better for the planet and for yourself. We care about animals and do not buy products that have been tested on animals. Not now, never. Maintaining nature is important to us and we want to commit ourselves to that where possible. We support charities since 2018, and have made the Spirit Animal products specially for this cause. With these products we have adopted an animal in Aquazoo Friesland and made a donation to the WWF. Good contacts between other spiritual companies and us is what we want! That is why we have already entered into a number of partnerships that have strengthened the ties and that we can grow together as a person and company. We would like to offer excellent customer service that you are satisfied with. Would you like to let us know something? Send a message.